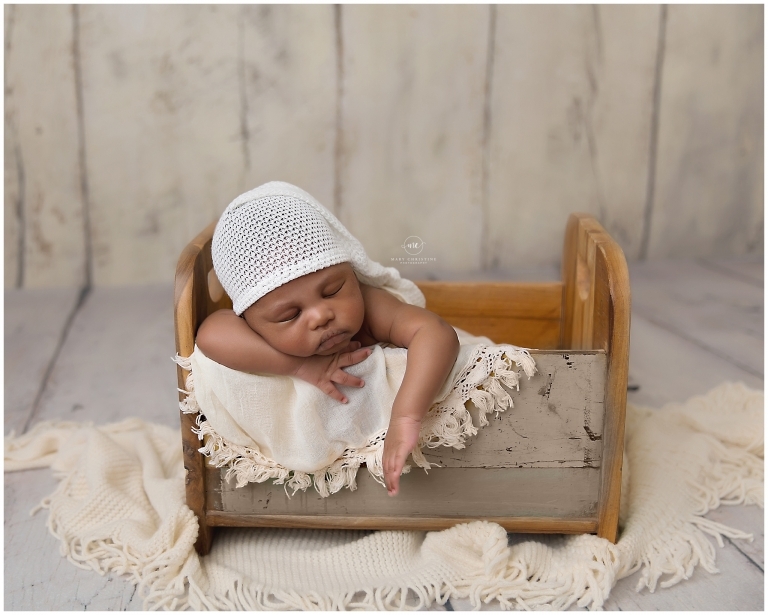 Welcome Brandon to the Newborn Photography Cleveland Ohio blog! Oh this little man stole my heart! How sweet is he? I could have gobbled him up! Typically newborn sessions are done between seven to fourteen days new. But with the holidays and the business of the season, he did not come in for his newborn session until six weeks. Life happens, that is okay! When little ones come in for their newborn session after the window, we have to adjust our expectations. Six week olds tend to be more alert and can be a bit fussy, as this is when fussiness peaks. Brandon was alert for most of his session, but he did fall asleep for a few minutes. We worked fast! And goodness, it was well worth it! He adorable are these sleepy images? Oh that sweet little face! I love this bed from The Original Photoblock Props and sleepy hat from Freebird Prop Shoppe. Sweet simplicity, my favorite! Neutrals are my favorite to use- it is so timeless! Oh those sweet little sleepy smiles and stretches. I melt! Brandon’s momma requested this teddy bear for his session. He may have thrown it while he was awake but once he feel asleep, he snuggled this teddy bear. Sleepy snuggles for the win! 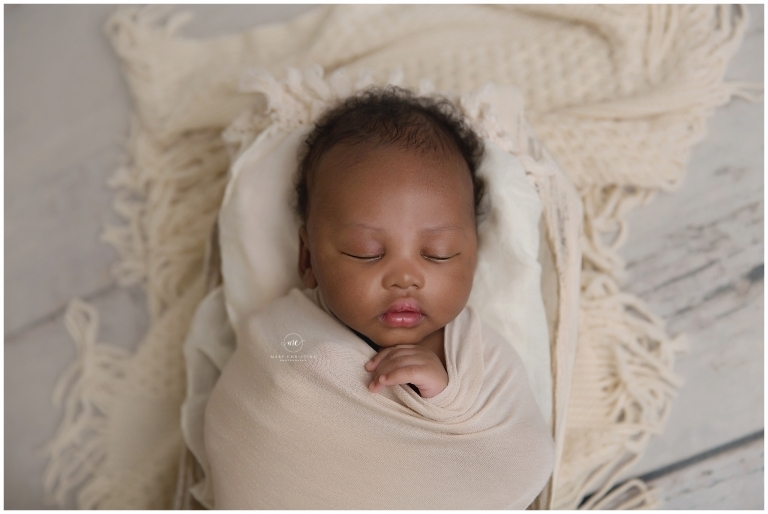 Thank you so much for stopping by the newborn photography Cleveland Ohio blog! Looking for a newborn photographer? Please check out similar newborn sessions on the blog and the newborn portfolio. The best time to schedule your newborn session is while you are expecting. Newborn sessions are reserved by due date and we set a date after your little one makes their big arrival. To learn more about these sessions, please visit the newborn session information page and the investment page.